There are approximately 52 million Hispanics in the United States, over 60% of them are under the age of 35, and 34% are under the age of 18. 17 Oct Are Hispanics the Next Baby Boomer Generation? There are approximately 52 million Hispanics in the United States, and according to the Nielsen State of the Hispanic Consumer, over 60% of them are under the age of 35, and 34% are under the age of 18. This is an interesting fact, considering that as whole, the US population is aging, a fact mostly driven by whites—are Hispanics becoming the next baby boomer generation? Here’s a reality. In this day and age, we’re past the conversation of tortillas rivaling burger buns and salsa giving ketchup sales a run for its money. Truth is, Hispanic influence is a very real political, social, cultural and economic impact, and learning about the nuances of this fast growing group is important for any business. Hispanics cook more frequently at home than average Americans. They stock-up more often and spend more at the grocery store. 80% of their shopping trips include multiple family members, including children. Still, like most Americans, Hispanics seek more convenient ways to cook at home. They plan their meals more and utilize more shopping apps. They are more likely to visit websites, product reviews and recipe sharing websites. They spend more time online than non-Hispanics. 88% of young Hispanics say staying close to the community where they live is important to them. 2/3 of young Hispanics were born in the United States and consider English their first language. 52% of Hispanics, 16-25 years old, identify themselves first by their family’s country of origin. Offer the right products:Offer products that are authentic and that will appeal to the entire family. These should also be products that help them simplify cooking at home, including relevant retail, takeout and deli options. 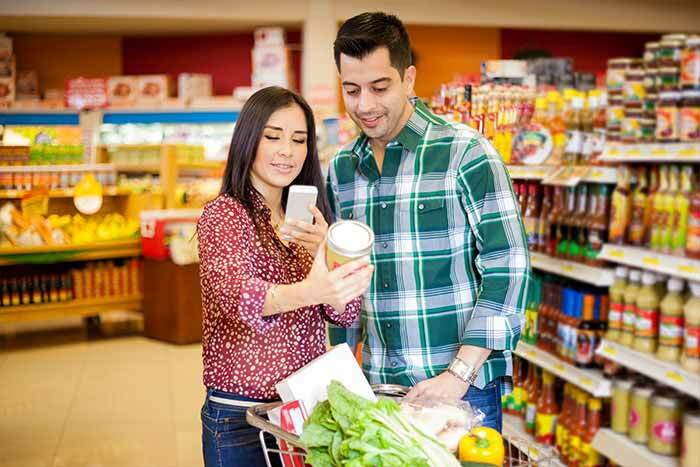 Leverage technology:Build relationships with your Hispanic consumers and interact with them through online and mobile applications. They are already in that space, so provide them with relevant content. Engage in a relevant way:Appeal to their sense of community by understanding what is important to them. Also make sure to speak to your specific target group in the language they prefer. There is no question about it; with one third of the members of the fastest growing demographic group under the age of 18, the next boom is already here and it’s driven by Hispanics. A deep understanding of this group and a strategic approach at reaching them effectively is a must for any organization that is expecting to thrive in the 21st century. Check out our blog on Fast-Casual Dining: How Ethnic concepts are leading the industry and influencing menus across the United States to continue learning about the Hispanic market. Contact us if you would like to learn more about MIC Food and our diverse line of natural Latin-Caribbean products.